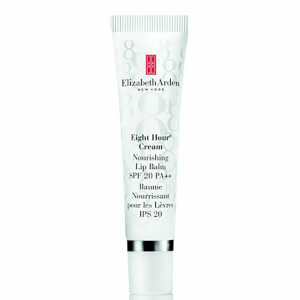 Treat your lips to eight hour care with Elizabeth Arden Eight Hour Lip Protectant Stick. Renowned for its amazing healing and moisturising properties, this portable stick is enriched with emollients, protective sunscreen and vitamin E.
This handy stick is perfect to take with you anywhere to treat dry chapped lips or to protect your lips against the sun and environment. 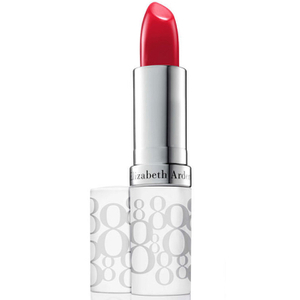 After using Elizabeth Arden Eight Hour Lip Protectant Stick, your lips will be left feeling soft, supple and truly kissable! I have a real bad habit of biting my lips because my lips gets very dry rough and cracked! Once I started using this it healed my lips right away and I've since broken the habit of biting them! It really works for me so I definitely recommend it! I have 3 of these essential items- in my handbag, in my lipgloss collection and on my dressing table. It is a barrier to keep my lips soft. i cannot wear lipsticks any more as they are all so dryind but with EA protectant stick I am happy. I used to have really dry lips, i had to scrub them every day until i got this baby and now my dry lips are history ;) what can i say - i love it! My last Elizabeth Arden Eight Hour Cream Lip Protectant Stick lasted about 3 years and it was carried around with me daily in my handbag, and always went in my hand luggage for flights. It has a distinctive smell, like the Eight Hour Cream, which you either like or dislike (I like, husband dislikes!). It's the best lip balm I've ever used. It lasts on my lips for ages and doesn't feel greasy - just moisturising. The casing, although white, never really looked grubby or discoloured, and stayed intact for as long as the product lasted. Although the price seems high for a lip balm, I think it's well worth the money and will continue to purchase.